I had to interrupt my Capella shawl knitting for something really important – a baby gift for a little boy! I knitted a little shawl sweater and a little hat with ear flaps. These were two new patterns that I had never knitted before and I thoroughly enjoyed both of them and can highly recommend them. And an added bonus: they are both free patterns! 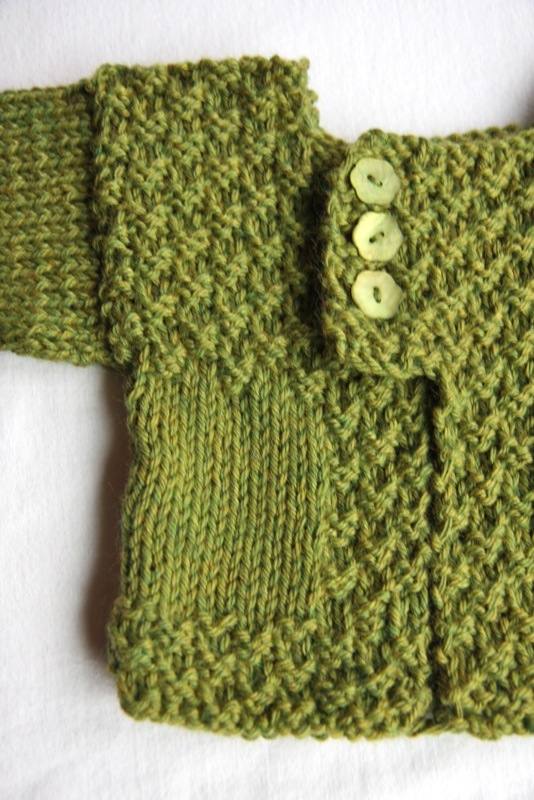 The baby sweater is a pattern called Baby Sophisticate by Linden Heflin. I especially loved the construction of this sweater because there are no seams to sew up! You knit in the round (my favorite) for the yoke, place stitches for the sleeves on holders, knit the body, bind off and then just place the sleeve stitches on your needles and knit those in the round. You then pick up stitches for the shawl collar and button placket. I knitted this sweater using my favorite Magic Loop method on circular methods. You can find a tutorial for it here. The pattern page is here but if you would like to see some of the more than 8,000 sweaters that people on Ravelry have knitted from this pattern, you can see them here. 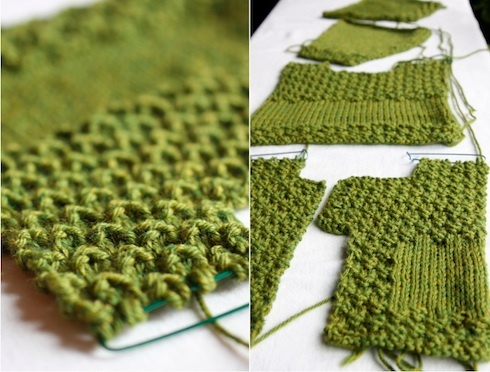 I like to check out a project’s Ravelry page before I begin a project, so I can see how other people knitted the pattern, check out different color options and read notes and tips that people write about that pattern. If you are not a member of Ravelry, join now! It’s free, too. The buttonholes were easy to do – just one YO and that’s it. For the yarn, I inexplicably used an acrylic yarn. It was an impulse buy. I never buy acrylic yarn, but the colorway just jumped out at me. I used Vanna’s Choice Lions Brand yarn in Grey Marble. After I blocked the sweater, the yarn softened up a little. But I didn’t like knitting with it much – it doesn’t have any give, like wool. 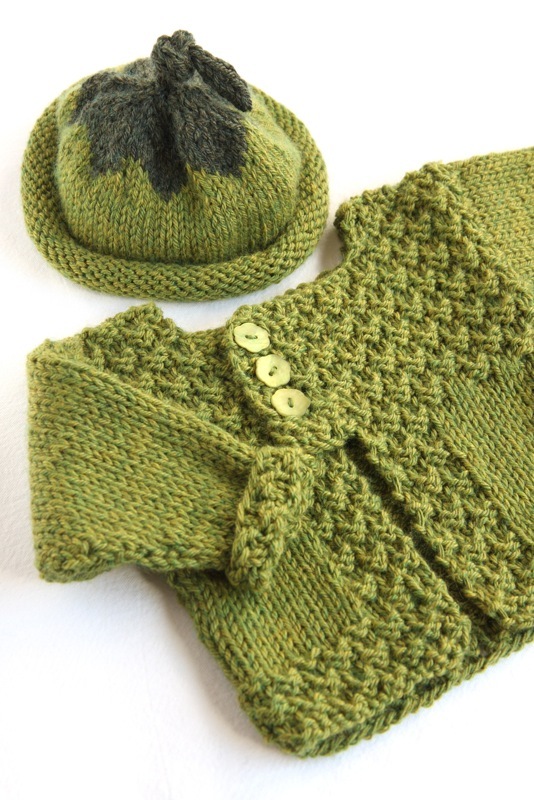 The little hat is so adorable – it’s a pattern called Garter Ear Flap Hat from Purl Soho. If you don’t know about Purl Soho, it’s a wonderful yarn shop in New York City. They have a fabulous web site. If you have never been on it, you will be amazed at the projects, tutorials, tips, patterns and ideas. And so many of the patterns are free! I love the hat because the design is just a little different – a little whimsical. It’s a very easy, fast pattern. After casting on, you knit the two ear flaps in the round, using short rows, which I love to do. Then you continue on knitting the hat, shaping the crown in garter stitch. Easy peasy! I used my beloved Magic Loop method on circular needles. I love the cute little tassel on the top – how sweet is that? Only takes a minute to make it. 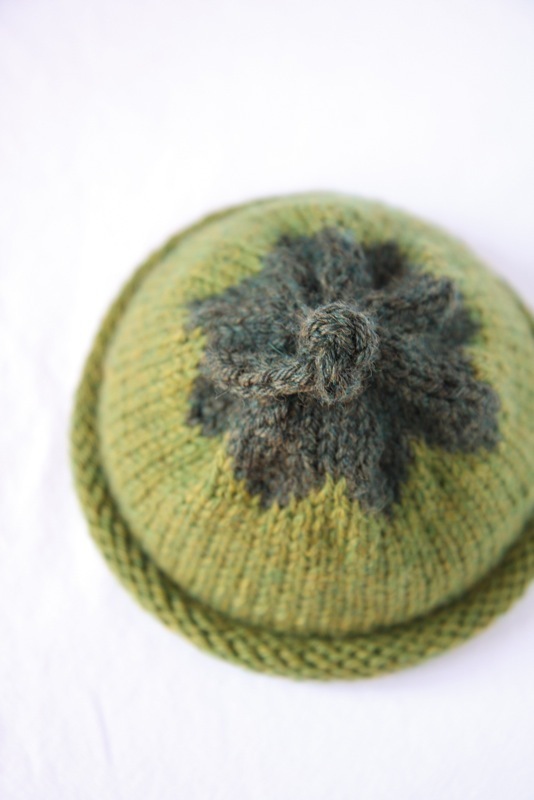 If you’d like to check out all the different versions of this little hat on Ravelry, the page is here. I just found out a short time ago that a food blogger I know, Maria, who writes “Two Peas and Their Pod” is having her first baby. I knew I would get to visit her in Utah on spring break, so how could I resist knitting her a little baby gift? No way! I love this cute little baby sweater from the Knitter’s Book of Yarn and I thought this was the perfect opportunity to make it. I knit the sweater in a “pea green” color – how appropriate – and it’s good because it’s gender neutral. 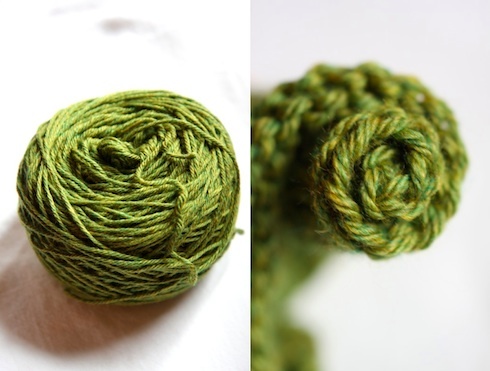 I used Berroco Vintage, which is a great blend that is machine washable and very soft. 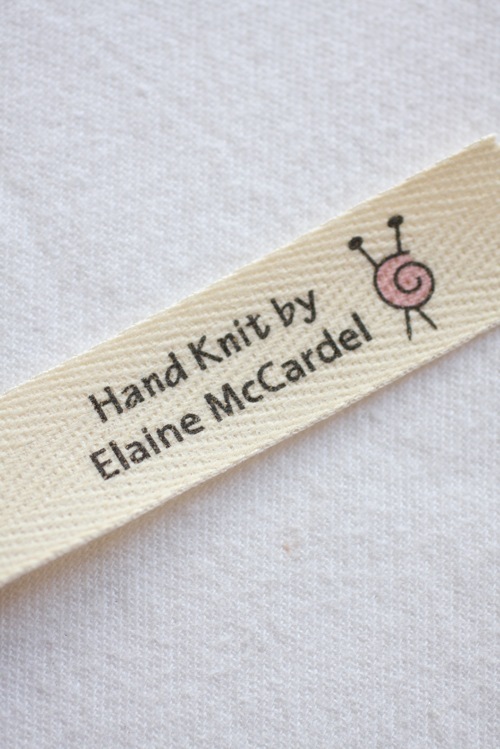 I sewed a little label into the sweater. I got these cute little labels at this Etsy shop. There is errata for this pattern, which I didn’t learn about until after I had knit for a while. For the smallest size, you need to cast on 36 stitches instead of 38. 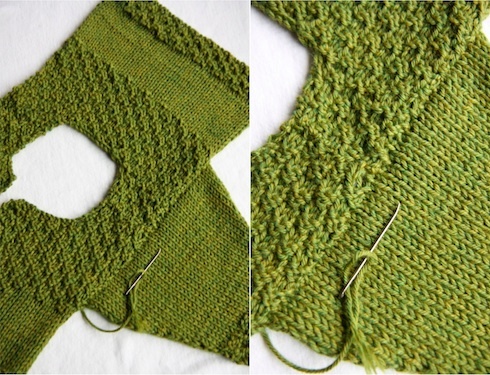 It didn’t seem to make much difference for me – I just took in the back seams a little when I assembled the sweater. You are currently browsing the archives for the baby stuff category.